The Pre-Trial Adult Diversion Program is a voluntary alternative to criminal prosecution for first-time offenders accused of misdemeanors or nonviolent felony crimes. Participants undergo counseling and other activities in the program. Charges can be dismissed or refused if the participant successfully completes the program. The process begins when a person has been issued a misdemeanor summons or is arrested for a nonviolent misdemeanor or felony offense. Regardless of whether prosecutors file charges in court, the person’s case can be referred to the diversion program in lieu of criminal prosecution. The District Attorney’s Office reviews each case on an individual basis, looking at the circumstances behind the offense and past criminal history. People are not eligible for the diversion program if their charges involved child endangerment, violent crimes, drug distribution, past participation in the program or other open charges or unresolved attachments or warrants. The District Attorney’s Screening Department makes the initial determination on whether a person is eligible for diversion. If screeners determine a case isn’t appropriate for diversion, charges are filed in court for prosecution. However, even if criminal charges are filed in court, the prosecutor handling the cases could determine that the defendant is an appropriate candidate for the diversion program. The Pre-Trial Adult Diversion chief or deputy chief then reviews the case to determine whether to accept or reject it. If rejected, the case remains in court for criminal proceedings or is sent back to the Screen Department for review. Upon successful completion, criminal charges can be refused or dismissed if prosecutors filed a bill of information in court. Also, successful defendants can have their arrests and charges expunged from their record. If accepted into Pre-Trial Diversion, participants are assigned a counselor/case manager and invited to attend an orientation presentation. The invitation could be a phone call or a letter sent via the U.S. Postal Service. In some circumstances, orientation could be done on an individual basis. Orientation provides an overview of the program, its guidelines, policies and fees, and allows the participants to meet their counselor/case manager. Candidates are allowed to reschedule orientation only once, and if rescheduled, it’s reset for the following week. At orientation, participants fill out an application and provide a photocopy of their driver’s licenses or other form of government identification. Participants also must fill out information sheets acknowledging prior or current involvement in a diversion program. Being untruthful is grounds for dismissal from the program. Participants can withdraw from the program at any time, at which point their cases are returned for prosecution. If they withdraw without a valid reason such as medical leave, participants are not allowed to re-enroll at a later date. Fees participants paid aren’t refunded, regardless of their progress in the program. If there’s a valid reason for withdrawing, the counselor/case manager could either change the participant’s status to inactive or return the case for possible re-submission at a later date. Following orientation, the counselor/case manager and potential candidate will have the opportunity for a follow-up meeting at which additional questions can be asked and answered and the assessment process is started. During this meeting, the fee schedule and payment plan is discussed, for the participant’s pre-determined length of time in diversion. A confidential “biopsychosocial assessment” is discussed, and an initial hair test is conducted. In addition to undergoing the assessment, the potential participants will be asked to sign mandatory consent for the release of confidential information forms. This allows the counselor/case manager to communicate with referral services. Potential participants also can sign consent waivers for their defense attorneys, parents or guardians, for the purpose of case management and continuity of care. Potential participants are asked to bring medical documentation such as prescription forms or pill bottles if they are taking medication. This is needed before drug testing is done. Once the drug screen results are available, the counselor/case manager will schedule another meeting, at which program acceptance, enrollment and individualized treatment recommendations are discussed. During the enrollment process, potential participants’ arrest records are checked to ensure no new charges are warrants are pending that could bar entry in the program. Enrollment into the program requires potential participants to execute a written agreement in which they accept responsibility for the offense; waive all time limits for criminal prosecution, known as prescription; acknowledge the existence of prior arrests or convictions; acknowledge past or current participation in a pre-trial diversion program; acknowledge having had the opportunity to discuss the program requirements with a lawyer and a counselor/case manager; agree to abide by all program requirements; and submit the remaining balance of the initial enrollment fee. Also, the results of the drug screen are discussed. If drug test results are positive, the potential participant is placed in the drug tract. The drug tract is a sober-living program focused on total abstinence from alcohol, illegal drugs or unacceptable medications that could affect public safety. Participants’ total abstinence is monitored through hair analysis and urinalysis. These test results remain confidential between participants, their counselor/case managers and any referral services. If accepted into the program, the participants will continue to meet in regularly scheduled conferences with counselor/case managers. Participants must abide by the no-show or rescheduled appointments policy. Participants can be terminated from the program for failing to abide by the policy. In submitting the enrollment agreement, participants will be asked to pay program participation fees, which exclude any fees for outside referral services. Restitution if applicable is paid at the time of enrollment, and the candidate has the option to agree to a monthly payment plan. Program enrollment and assessment fees are used to offset the expenses of administering the program. Financial assistance is available to those who qualify. This assistance, obtained through a formal application process, can be fee waivers or fee extensions. Documentation such as federal tax returns, disability award statements, utility bills, medical expenses, etc., must be submitted within 14 days of receipt of the financial assistance application. The counselor/case manager will forward the application to the finance department, and will inform participants of the decision. Counselor/case managers do not waive fees under any circumstances. Participants cannot successfully complete the program until all financial obligations related to the program have been paid in full. Fees include program costs, referred counseling fees, drug and/or alcohol testing fees, educational program fees, postage fees and any other costs associated with the program. A counselor/case manager could assess additional fees for non-compliance of program policies. All payments to the District Attorney’s Office must be in the form of money orders or cashier’s checks made payable to the “D.A. Fund.” All payments are non-refundable. Payments for outside services must be made directly to the service provider. However, the District Attorney’s Office collects payments for drug and alcohol testing, and forwards these fees to the testing center on behalf of the program participants. The assistant district attorneys assigned to participants’ cases determine the amount of restitution owed to the victim, if applicable. Counselor/case managers are not allowed to revise the amount of restitution. If there’s question about the amount of restitution, participants’ attorneys must contact the assistant district attorney. Restitution is paid to the victims in the form of money orders made payable to the victims. A special delivery postage fee is assessed with each payment. This postage fee must be in the form of a money order or cashier check made payable to the “D.A. Fund,” at the same time the restitution payment is made. For fairness, equity and the integrity of the program, all participants who have been charged with the same criminal offense are assigned the same program length. However, specific recommendations for interventions based on overall assessments could lead to a different program length. 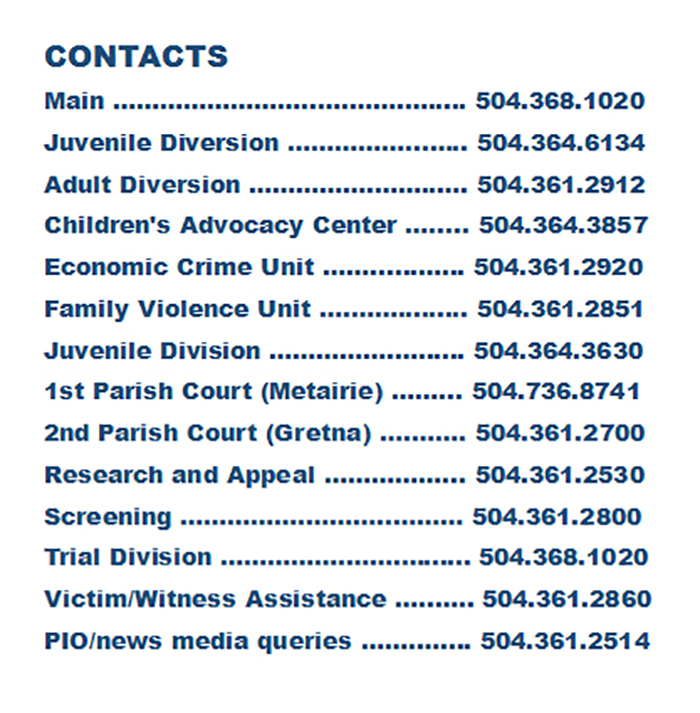 Generally, program length is determined by whether the offense is a misdemeanor or felony; whether there is a combination of offenses; whether the offender has prior charges and the nature of those charges; the circumstances of the offense; the community referral services available to address the behavior that led to the offense; and, whether restitution is owed and the amount. Specific recommendations for interventions are based on overall assessments and are made on an individual basis. These treatment recommendations could include behavioral education sessions or therapeutic group sessions; online courses; and community enhancement hours. If placed on the drug tract, treatment recommendations could include a minimum of 12 alcohol and drug abuse education sessions or therapeutic group process sessions; outpatient treatment; intensive outpatient treatment; inpatient treatment; residential treatment; aftercare; 12-step meetings; and community enhancement hours. Participants are responsible for paying all costs associated with these programs. Participants’ counselor/case managers must pre-approve the intervention providers before attending. Participants’ progress in these programs is monitored. In some cases, candidates who are placed on the drug tract and assessed as needing the next level of care could be require to complete an inpatient or residential substance abuse treatment program before being accepted into the Pre-Trial Adult Diversion Program. At any time during the program, the counselor/case manager, with approval from their supervisor, reserves the right to extend the length of the program for violations. Failing to agree to the extension will result in immediate dismissal from the program, at which point the case will be returned to the screener or court for further proceedings. This program is focused on public safety. While a participant is enrolled in this program, they are advised to be cautious about the decisions they make regarding the use of alcohol and narcotics. All participants must complete substance abuse evaluations, which include hair testing or urine screening. If in the drug tract, participants undergo random and scheduled testing. Participants must pay for hair and urine testing. Participants could be required to submit to mid-term hair tests. Final hair tests are always required. The participants must have at least one inch of head hair available at the time of each hair test. If not, other body hair will be used for testing. When in the drug tract, participants will be assigned a color code and given a phone number to call to reach a daily voicemail message. Through the message, participants will learn the color for the day. If the participant’s color is announced, that person must go to the pre-approved collection site and submit a urine sample on that day. Under no circumstances will a participant be allowed to successfully complete the program if they test positive for illegal drug use. Some prescribed medications will not be accepted by the Pre-Trial Adult Diversion Program. Participants must notify their counselor/case manager if a physician prescribes medication. If the medication is impermissible, the participant must voluntarily withdraw from the program or seek “inactive status” while receiving medical treatment. It is important to note that if participants are currently using any substance, whether alcohol or drugs, they are asked to follow their physicians’ advice on safely discontinuing such use. In some cases, participants could be required to successfully complete a medically supervised detoxification program. Participants who are in the drug tract might not be allowed into the Pre-Trial Adult Diversion program if they are taking certain medications. That’s due to the nature of the substance abuse program and testing requirements. Participants should contact their counselor/case managers if they are prescribed any pain medications, tranquilizers, methadone, suboxone, sleep aids, muscle relaxers, ADD and ADHD medications, barbituates, weight-loss medications, cough syrups or other drugs. Acceptable medications include those used to treat cholesterol, diabetes, high blood pressure, anti-depressants, anti-convulsants, anti-coagulants, diuretics, etc. Counselor/case managers will never advise participants to go against the advice of their physicians. If participants are prescribed medications that are not accepted by the program but are necessary for quality of life, then medical requirements should take priority. In such cases, entry into Pre-Trial Adult Diversion could be denied. If participants are prescribed barred medication after entry into the program, they could consider voluntarily withdrawing or seek “inactive status” for the duration of the medical care. Participants could be required to complete community enhancement hours, or volunteer service, with a non-profit agency. Counselor/case managers must pre-approve the sites. Participants are responsible for all costs associated with the requirements. Participants also waive liability for any actions that may arise in connection with community service hours. Participants can be discharged from the program for a variety of reasons. These include not being truthful on agreements; refusing to sign necessary consent forms; failing to pay program or referral services fees; failing or missing alcohol and drug screens; failing to comply with individualized treatment recommendations; repeatedly missing appointments; disagreeing on program extensions for program violations; getting arrested or participating in any illegal activities; having outstanding attachments or warrants; engaging in disrespectful behavior; or breaching confidentiality. Arrest records are verified monthly for new charges of any kind. However, the time to report any new charges is at the time of the offense. Failing to notify the counselor/case manager of any incident, whether arrest of a misdemeanor summons, is immediate cause for termination. There is no residency requirement. Anyone seeking admission to the program must agree to attend all program requirements in the stated locations and at the stated times. No exceptions to this policy will be made. Participants must appear in court for all scheduled court dates throughout their enrollment in the Pre-Trial Adult Diversion Program. Attachments or warrants are cause for immediate termination. 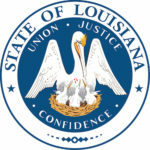 If the candidate declines enrollment in the program, or as a participant voluntarily withdraws or is involuntarily dismissed, the case is returned to the District Attorney’s Screening Division, Parish Court or the Trial Division for the institution of formal prosecution or further court proceedings. Any uncooperative, disrespectful or disruptive behavior will result in termination from the program. Participants must not possess, purchase or carry any firearms or weapons while enrolled in the Pre-Trial Adult Diversion Program. Participants cannot leave the jurisdiction without permission of the counselor/case manager or, if required, the court. Unless disabled, participants must be employed or seeking employment or enrolled in school or a vocational skills training program. Participants must immediately notify their counselor/case managers of any change of address, telephone number, employment, school enrollment, accidents or illnesses. As a condition of the Pre-Trial Adult Diversion Program, participants must waive their right to a speedy trial during the enrollment period. Another condition requires participants to voluntarily waive their right to invoke prescription laws as a bar to prosecution for the delays occasioned by participation in the program. Participants should dress appropriately when going to the District Attorney’s Office. If not, appointments could be rescheduled. Appropriate dress is defined as casual business attire. Inappropriate dress includes tank tops, shorts, flip-flops, T-shirts with offensive language or signs, pajama pants, low-riding pants without belts that allow undergarments to be shown, etc. At the end of the program, the counselor/case manager will conduct a confidential exit interview with the participant. This is done to assess the participant’s experience in the program and to get recommendations for improvement. 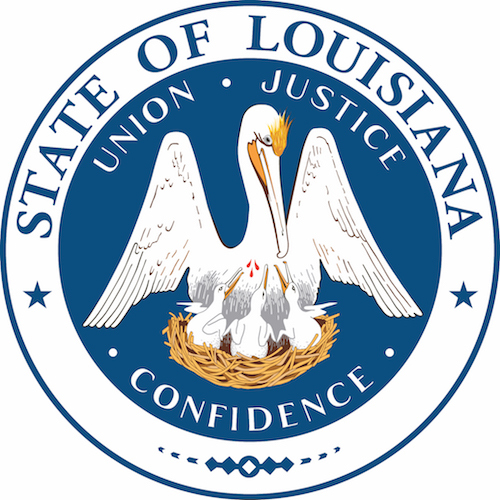 Upon successful completion of treatment recommendations and other program requirements, the District Attorney’s Office will refuse any criminal charges that led to the diversion program. If a bill of information was filed in court before entering diversion, the charges will be dismissed. The participant will be given documentation acknowledging successfully completing the program. Defendants who successfully complete the program could have their arrests or charges expunged. The District Attorney’s Office does not handle expungement procedures, as these are civil actions, not criminal ones. Disclosures to the Pre-trial Adult Diversion staff will be confidential with the following exceptions: Suspicions of child or elder abuse or neglect; indication of imminent danger to self or others; disclosures regarding additional criminal violations; disclosures that are favorable towards the innocence of another defendant; general reasons for unsuccessful program discharge; contact information, in the event of unsuccessful program discharge or voluntary withdrawal; or where otherwise dated or permitted by law. Nicole E. Varney, Ph.D., L.P.C., N.C.C. Dustin J. Trahan, M.A., P.L.P.C., N.C.C. Taylor E. Melancon, M.A., P.L.P.C., N.C.C. Katie Theriot, M.A., L.A.C., C.C.D.P.-D.
Kevin M. Rodrigue, R.A.C., C.C.S., C.C.G.C. Vin Lamia, M.Ed., L.P.C., N.C.C. Stacy Krider, M.S., M.A., P.L.P.C.